Cosplayers are a dedicated bunch, devoting hours of manpower to create video game and anime-inspired outfits that bring our favorite characters to life. Once in a while, however, a costumer-creator stands above the rest with a cosplay that blurs the line between fantasy and reality. 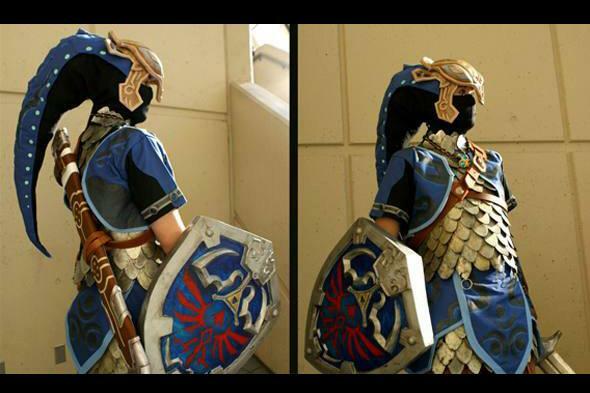 While the Zora armor in The Legend of Zelda: Twilight Princess was already pretty amazing as far as Link's outfits went, our hats are off to DeviantArt member Zoroko, who crafted a costume that's among the best we've seen crafted by a cosplayer. While we didn't get to see the outfit up close at Ohayocon, the cleverly-named Columbus-held anime convention, we can only hold out hope that it makes a return appearance at, say, PAX Prime? In the meantime, we'll hold the cosplay crown for Zoroko, particularly because we can't tell whether it's a male or female underneath all of that aquatic armor.